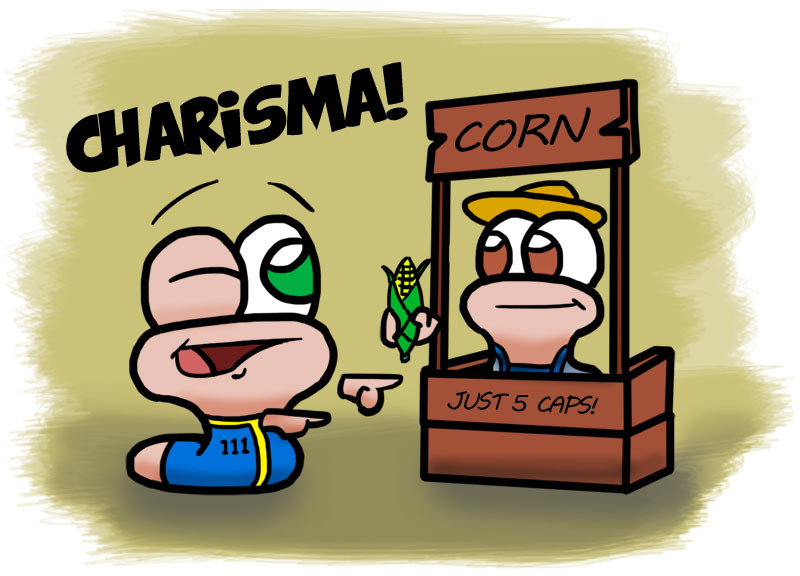 Personally, I’d put my own charisma at a four or five (average-ish). But hey, I’ll take what I can get – I think my luck stat might make up for it! I’m sorry. Life isn’t real fun at the moment. So I guess what I’m saying is, I apologize for the lack of fun-and-fancy-free worm times. I hope to keep drawing as soon as my body permits it. And for anyone else going through mental health issues, I’m right there with you. Sometimes the solutions for a broken mind can break other parts of your body before the right solution. But that doesn’t mean you should give up. Keep going, and stay in tune with your doctor, and don’t give in – that’s my plan.